From Union City take 32 to Left on N. 625 E. to Right onto E. Base Rd. to 5707 E Base Rd. 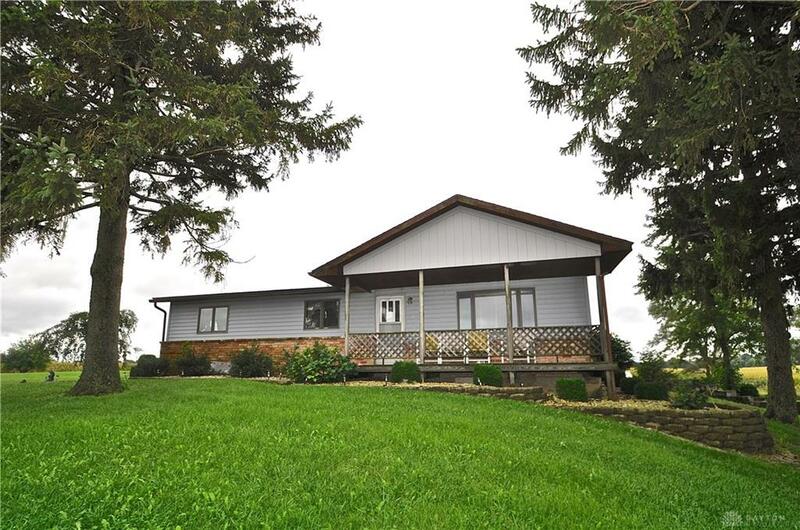 If your looking for a home with a little privacy, some land, barn, pasture, workshop and a home with a walkout basement... then you just found it! This 2552 sq ft home sits on 2.29 acres and has a large patio area for entertaining and a finished walkout basement. The attached garage give you a lot of storage area. There is a really nice heater workshop with storage above. The barn is in great condition and there is a fenced area for animals! So come out, fall in love and make this your home! This listing courtesy of Shaun Hayes, BHHS Professional Realty .